Airglide is the bread winner! Apparently, the gleaming business jets on static display at MEBA 2012 have a rougher side than most admirers imagine and this creates air resistance, drag, and higher than necessary fuel-burn. This is something that UK-based Action Aviation is trying to do something about, by persuading aircraft owners to apply a nanotechnology aircraft coating called Aviation Shield. Shield coating, an acrylic comprised of nano molecules that fill in the microscopic valleys in the aircraft paint, can reduce surface friction and drag, providing about a 2-percent fuel savings for business jets, and up to 3 percent for airliners. The dry coat material can be applied to an aircraft in a matter of hours, permitting application during routine maintenance or other scheduled down time. 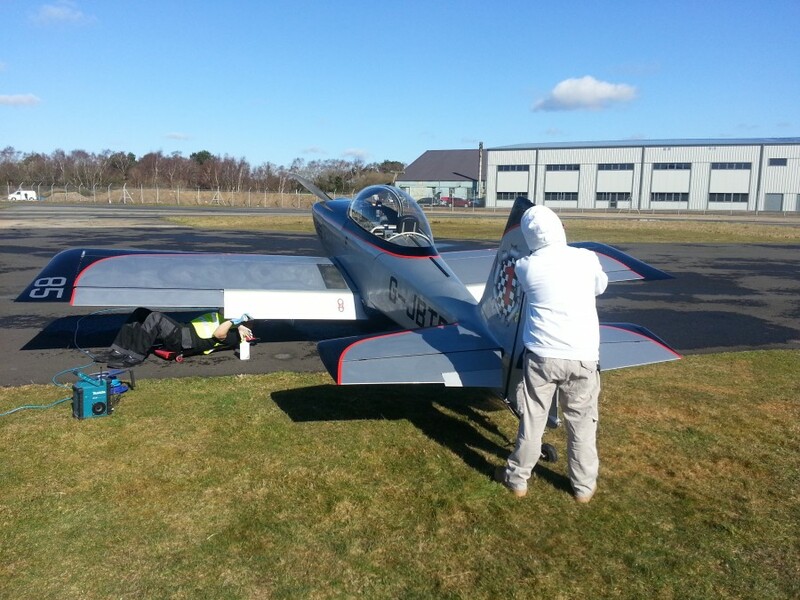 The process includes aircraft preparation, application of a base primer, applying the nanotechnology coating itself and a final finishing process. The Aviation Shield treatment lasts for four years, though leading edges are redone every two years. As for cost, Harding said it could be recouped in about two months with the savings in fuel, based on operating a business jet about 600 hours per year. Harding said the coating also helps to protect paint against blowing sand and reduces the ability of ice to adhere to surfaces, helping to reduce de-icing costs. 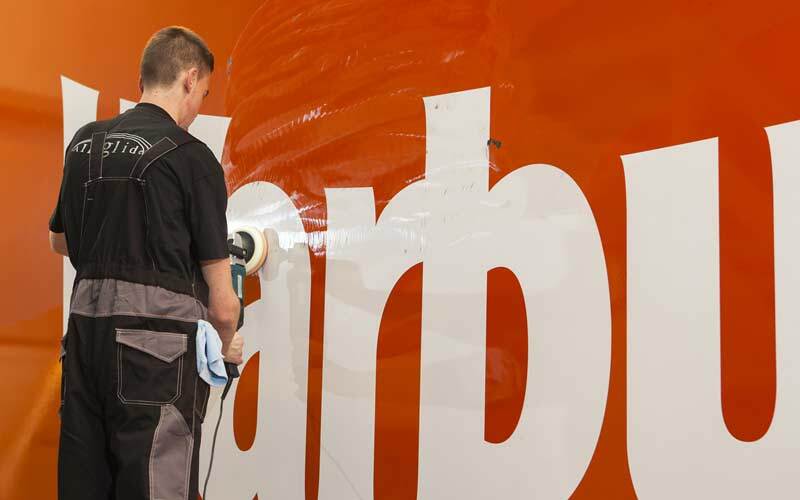 The coating is approved by both Boeing and Airbus for application to all their aircraft, and is also AMS1650c approved Here at MEBA 2012, Harding said he and his team are meeting with prospective clients, including at least one OEM, whom he declined to name.